Are you giving away up to £35 per week without knowing it? Last year, pensioners lost nearly £4bn by not claiming pension credit, when they were eligible to do so. Could you be one of them? 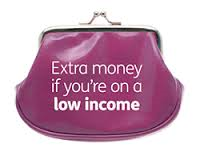 For a single person, not claiming, could mean that they miss out on up to £35 per week. To find out more, please see the article on our ‘alerts’ page. This entry was posted in Finance and tagged Pension credit on March 29, 2017 by admin.